From Eviction to Investment – How the community of Laboriaux fought against eviction and won. 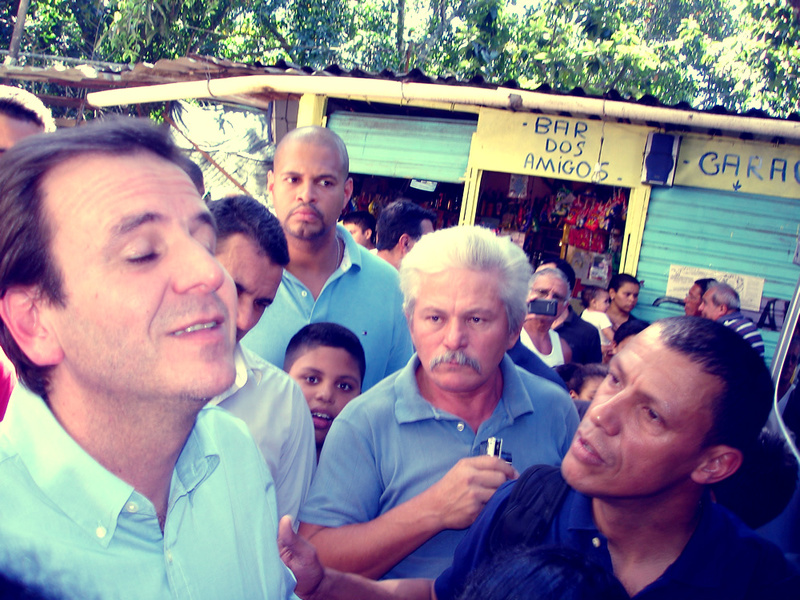 Back in April of 2010, as many already know, the mayor of Rio de Janeiro, Eduardo Paes, announced that he would evict the entire community of Laboriaux without negotiation. In an April 8th 2010 O Globo article (page 14 – O Rio Em Colapso) Paes (PMDB) and others, including city council women Andrea Gouvea Vieira (PSDB) – even though she was part of a his political opposition – stressed the urgency of total eviction. The article describes a crack purportedly running along the entire main road in Laboriaux. The community, Gouvea told a group of residents, could split in two and people needed to leave urgently. In the April 7th Estadão newspaper she is quoted as saying. “It is an unacceptable situation. That [Laboriaux] is splitting apart, a piece of Laboriaux. There must be an immediate evacuation.” – (from Globo 04/08/2010) She lives in the area immediately below Rocinha known as Alto Gávea, an area that has a contentious relationship with the eastern side of Rocinha bordering Gávea. In the past the wealthy residents of Alto Gávea have succeeded in persuading the city to remove adjacent sections of Rocinha. Some were resettled in the distant west zone and later returned, others were sent to the City of God community, and that is why today there is a section there called Rocinha Dois. Another attitude that was voiced repeatedly by officials, the media and elites at the time was summed up clearly by the president of Rio’s esteemed Clube de Engenharia, Francis Bogossian. He is quoted as saying that the removal of Laboriaux would be “a present to the least privileged” and that “I would not want to live there” He said in Laboriaux, “All the residents are at risk of landslide.” Well, Paes, Gouvea and Bogossian and many others were wrong, as time has shown. A couple dozen houses in Laboriaux were in risky areas, and correctly, those residents have been resettled, even though the manner in which this occurred was disorganized and often prejudicial. There are still a few areas that need technical work in order to make them safer, but the entire community of 4000 residents was never at risk. It was an authoritarian effort to try and removal thousands of low-income residents from one of the most valuable square-meter sections of the City. The whole ploy reeked of corruption and residents understood this from the start. The authoritarian and paternalistic reaction was an offense to local residents. The powerful elite portrayed the situation as if the ‘poor helpless residents didn’t want to live in Laboriaux, that it would be a benevolent act and gift to provide these miserable people with a cheap apartment’ in a hastily built housing complex some 60 kilometers away, in an area controlled by para-police militias. People familiar with Laboriaux know the truth. Since its official founding in 1982, by the same city government that in 2010 tried to evict it, Laboriaux has been a special place for its residents. Here is an article from O Globo in 1990 in which clearly shows how residents cherish living in Laboriaux despite wanting to see it improve. Most residents love to live in Laboriaux and fight to keep it a charming community. 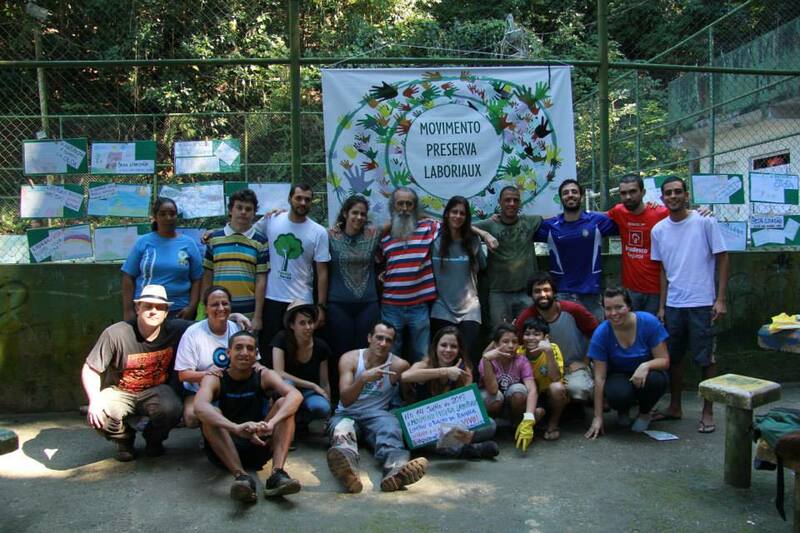 The photos show examples of collective efforts at cleaning the community, or mutirões de limpeza. The images depict moments when residents and friends of Laboriaux have come together on several occasions to clean and educate about the need to preserve and value the area. Movimento Preserva Laboriaux is one of the movements behind this. Mundo Real is another organization that has been active in Laboriaux since 2006 and which focuses on research, education and activism. Now the same road that the officials claimed was splitting apart in the middle is finally being repaired. Finally, because after the original bricks were laid in the early 1980s the city never return to provide repairs and maintenance. Now the road, Rua Maria do Carmo, is being asphalted. In a way it is sad, because the bricks gave Laboriaux the rustic feeling of a country village, but the city did not maintain them and the road became quite rugged and spotted with holes, which neighbors used their own resources to fix. The jagged bricks and potholes were also a danger that caused numerous accidents. 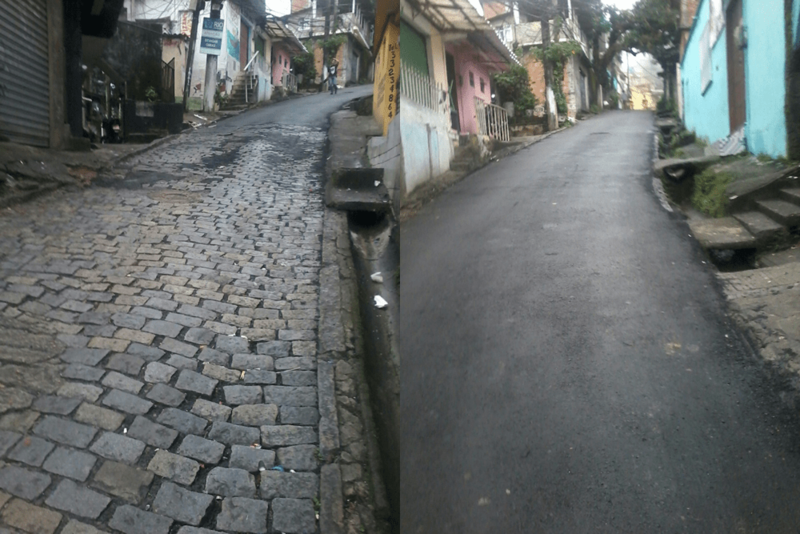 Rua Maria do Carmo is being paved because Laboriaux will no longer be removed according to Eduardo Paes himself, who in early August finally went there for the first time since he condemned area 3.5 years ago. He announced that the city would now begin investing in Laboriaux because the community would no longer be evicted, not one more house. Why this drastic change of heart? Surely it is not a result of his or the city’s good will but rather because Laboriaux’s residents fought persistently since April 2010 to remain and for improvements rather than eviction. There are too many residents to name, but there is a small group of roughly 15 residents who been at the forefront of this resistance since the city’s initial attempt to remove the community. Mundo Real was an important part of this process as well. Laboriaux’s residents were consistently in the streets protesting, at countless meetings with Rio’s Public Defenders Office, at the Pastoral das Favelas and at numerous events like the one’s these images depict. Currently these residents are attempting to revive Laboriaux’s once dynamic Resident’s Association (AMAVL). AMAVL abruptly shut-down shortly after Paes announced he would evict the area. At that time one of our most beloved presidents and long-time local leader Antonio Ximenes passed away, some say, perhaps embellishing a little, out of grief that the Laboriaux he so loved and fought so tirelessly for was going to be evicted. After his death the other larger Residents’ Association at the bottom of Rocinha, the one’s aligned with the corrupt elements of the city and state, prohibited it’s reopening unless under their control. They even made threats of violence at a time when Rocinha was completely controlled by drug traffickers. AMAVL remained closed and Laboriaux’s voice was diminished. Even with Laboriaux as active as it was in 2010, it took a larger mobilization to force the increasingly unpopular authorities to reconsider how they treat Rio’s low-income and working class residents. Paes visited Laboroaux in early August mainly because he had no other political option, the pressure was too intense by late July. This was mainly because of the large protest that rocked Brazil in June and July and after Rocinha’s march on the governors’ beachside apartment in late June, in which dozens of residents of Laboriaux participated. The protesters were called to a meeting with the state government. Below is a photo of José Ricardo, one of Laboriaux’s most tireless activists, after a meeting with Rio’s governor Sérgio Cabral and vice-governor Pezão. 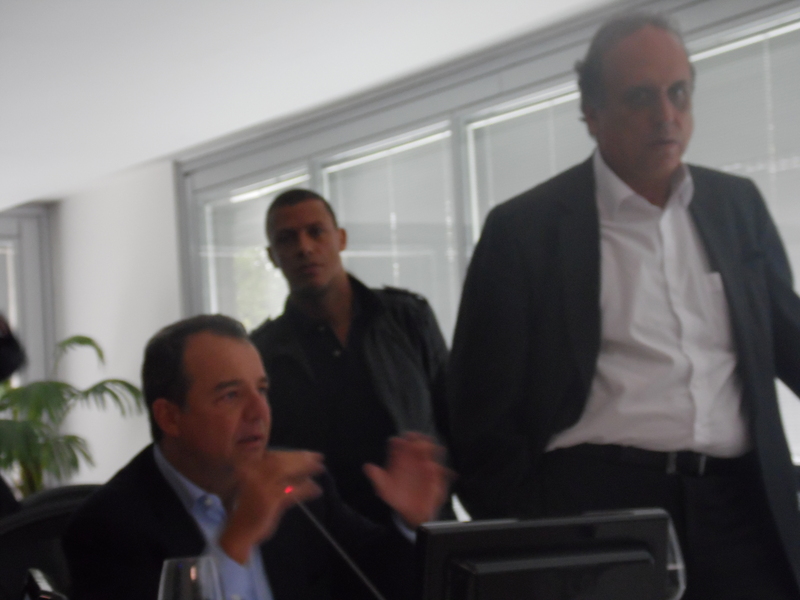 It was during this meeting that they got Eduardo Paes on teleconference and put him on the spot as to what was going on with Laboriaux. Paes stumbled a bit but eventually said he had no plans for Laboriaux, not even mentioning eviction. Cabral then asked if the state could intervene in Laboriaux through PAC 2 and Paes said he had no problem with that. Cabral made it clear that if there were funds from PAC 2 then Laboriaux would receive major infrastructure investments. To which Jose Martins from Rocinha sem Fronteiras said upon finding out later that day, “simple, cancel the costly teleferico and there will plenty of money left over for Laboriaux and other areas of Rocinha excluded from PAC 2.” Technically, any level of governemnt can and should be involved in Laboriaux but since it was founded by the city and since the city condemned the neighborhood in 2010, it was the city that was responsible for everything in Laboriaux in the last few years. Since then, as mentioned above, Paes, pressured form an increasingly organized and politicized Rocinha, visited Laboriaux and promised no more evictions. They started paving the road earlier this month and so far residents are pleased, for the most part. José Ricardo, rightfully pointed out that the city workers arrived already paving, there was no consultation or environmental study and they are only working on Laboriaux’s main road, not the two smaller roads towards the end of the community. Despite some complaints it is a good sign that an investment is being made in Laboriaux. Hopefully this is the first of many investments that will be made in Laboriaux and other more peripheral sections of Rocinha that have been excluded from programs like PAC. The resident’s of Laboriaux reactivating the AMAVL know there are many issues that need to be dealt with. 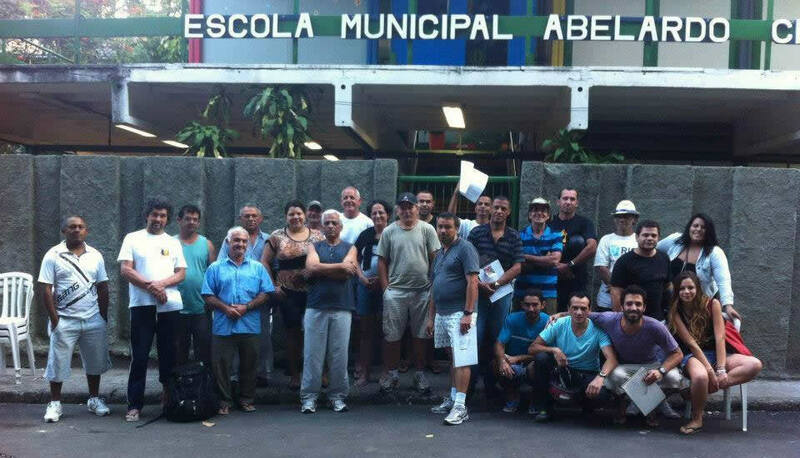 One long-time resident involve in reopening AMAVL, Alberto Peres, recently mentioned that now since Laboriaux is not going to be evicted there could be another wave of real-estate speculation and AMAVL needs to help educate resident’s about this issue in this charming section of Rocinha. Mundo Real is working on a series of academic articles with PUC-Rio Professor Rafael Soares Gonçalves on Laboriaux, public policies affecting Rio’s favelas and the intense resistance that took place there beginning in 2010. These should be available in early to mid-2014, we will let you know more soon.